In the following piece, “Electoral Lessons from the Slums: When You Got Nothing, You Got Nothing to Lose,” Talley Diggs discusses the political ramifications of how citizens interpret the concepts of peace and justice. Because of their history of political violence under corrupt and autocratic regimes, Kenyan citizens have long considered the two mutually exclusive. With impending elections next month, Mtaani University students are training to become Peace Ambassadors in the hopes of combating the post-electoral violence that spread in the wake of the 2008 elections. They hope to show that peace and justice are not mutually exclusive; that Kenyan citizens deserve both from their government. This article is a stark reminder that we, too, in America deserve a government that does not see peace and justice as opposite ends of the political spectrum, that does not use violence to enforce its own concept of justice or suppress its citizenry into false pacification. Until peace and justice are not mutually exclusive terms, but complementary ones, we will not benefit from the ideal democracy at the heart of the American experiment. Our forefathers were Enlightenment idealists; flawed idealists, but idealists nonetheless. By pursuing a more perfect union of peace and justice, we as American citizens continue to walk the road they paved and show other nations how to walk that same road. We have stumbled and we will stumble again, but we must continue forward. Talley shows us how these Kenyan university students are leading the way; we would do well to follow in their footsteps. Talley Diggs is a graduate student at the Elliott School of International Affairs at George Washington University, where she is pursuing a Master’s in International Affairs with a focus in security. Her experiences in Africa began in 2013, when she worked for the UN World Food Programme in Tanzania. During the spring of 2017, Talley worked for the UN Foundation’s Better World Campaign, which promotes the critical work of the UN and lobbies for a strong US-UN partnership. 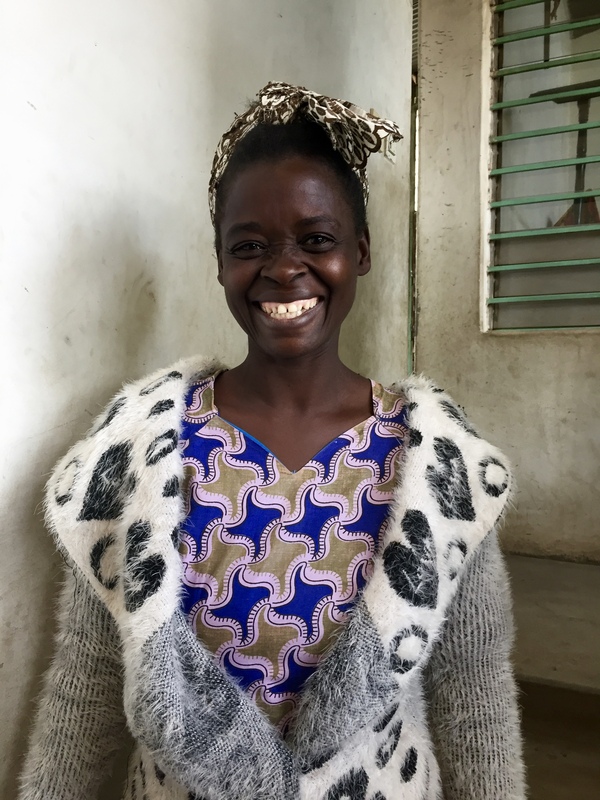 This experience taught her advocacy skills that will be incredibly valuable during her tenure as a Peace Fellow in Kenya. “We are nobodies. If we don’t throw stones, no one will pay attention to us. 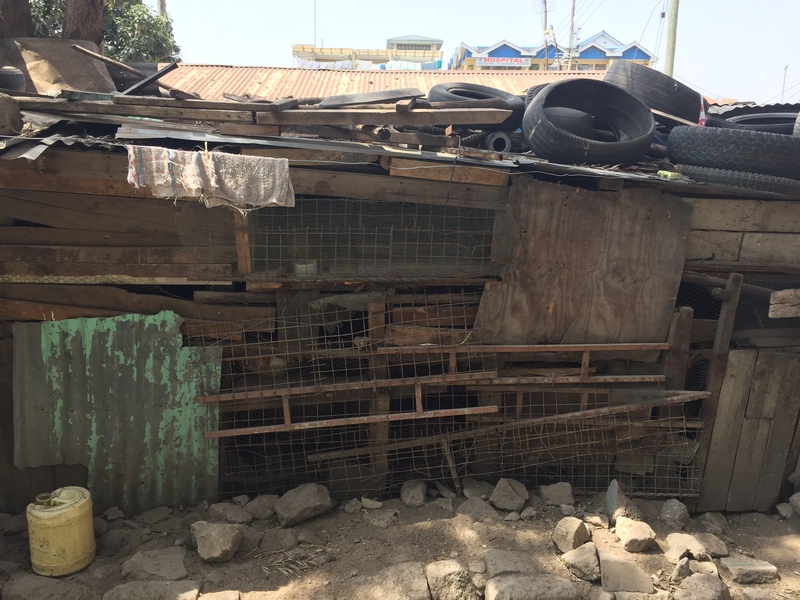 Nothing is lost when our lives are lost,” a student in Huruma slum uttered despondently during a peace training. 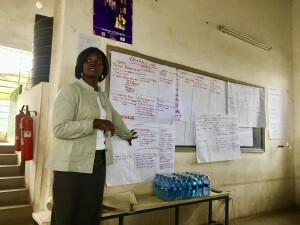 Last week CPI conducted trainings of community “Peace Ambassadors” for over 80 students at University Mtaani, the first and only higher education center located in a slum in all of Kenya. CPI’s Director, Deputy Director, and I were invited to Huruma as educators of nonviolent practices and conflict resolution, but we left having learned much about poverty and the perpetuation of political violence from our pupils. The student’s bleak words haunt me as the Kenyan general election on August 8thapproaches. The political stakes are high, regardless of which party is announced as winner. 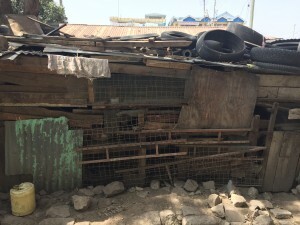 Forgotten in the candidates’ manifestos, Nairobi’s slum dwellers—an estimated 60% of the population concentrated on only 6% of the urban sprawl’s territory—have little to gain and even less to lose in the election. Kenya has never succeeded in conducting a free and fair election, and I’m skeptical that in five weeks’ time I will witness the ultimate legitimization of Kenyan democracy. The feat of a credible election would require accurate and independent ballot counts; detection of fraudulent voters (previous elections have had a serious issue with tens of thousands of deceased voters remaining registered); uninhibited access to polling sites; and absence of voter intimidation. On August 8th, Kenyans will head to the polls to either re-elect President Uhuru Kenyatta of the Jubilee party for a second term or elect Raila Odinga of the National Super Alliance (NASA) party. Both candidates come from prominent families whose political involvement spans the country’s history even before independence. Incumbent Uhuru’s father, Jomo Kenyatta, was the first president of Kenya. Meanwhile, NASA candidate Raila’s father, Oginga Odinga, was the first vice president under Kenyatta. The Odinga family has commanded the opposition movement for decades, most notably when Raila and his father led a failed coup attempt in 1982. Despite many years of efforts to register political parties that were met with political oppression and arrests, Oginga Odinga died in 1994 never knowing the presidency. His son Raila carries on the family legacy as he vies for the position for the fourth time—likely the 72-year-old’s last attempt. Are there only two candidates running for president? In fact, there are at least six other candidates officially registered, but they are hardly even considered by pollsters. Why? Because party lines are tribal lines and, despite any attempts to encourage voters to make policy-informed choices, the overwhelming majority of Kenyans still blindly cast their votes for their tribe’s candidate. I could talk about Uhuru and Raila’s platforms, but they aren’t that different or profound, and nor do they even matter. It’s a numbers game, and the party garnering the support of the biggest tribes (or the ruling party in control of government officials…) wins. What does this look like in the context of the 2017 election? Well, Uhuru is Kikuyu, which is the largest tribe (22%) in Kenya. Kikuyus have dominated Kenyan politics and been represented by three presidents out of Kenya’s four total. The current vice president William Ruto, who is running alongside Uhuru, is Kalenjin (12%), a tribe represented by one Kenyan president, Moi. Therefore, a substantial portion of the electorate is represented by Jubilee’s Kikuyu-Kalenjin political partnership. The Luhyas and the Luos each make up about 13% of the population, and the remaining populace is a compilation of 38 other small tribes in Kenya. Raila is a Luo, a community that harbors much animosity towards Kikuyus and vice versa. 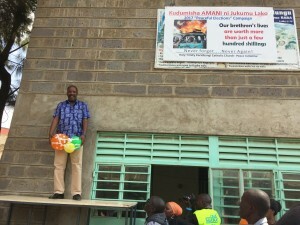 His party, NASA, is an opposition alliance that was formed in 2017 with the strict purpose of uniting minority parties and tribes with his Luo supporters to combat a Kikuyu-Kalenjin majority. Over the course of his long political career, including his role as Kenya’s first and last Prime Minister from 2008-2013, Raila has garnered many passionate followers from a range of tribes. His appointment to Prime Minister was a response to extreme post-election violence when he lost to the incumbent Mwai Kibaki, a Kikuyu. Within fifteen minutes of announcing Raila’s defeat in the 2007 election, an obvious case of illegitimacy and fraud, Luos allegedly began attacking Kikuyus. Riots and state-sanctioned violence exploded throughout the Rift Valley and across Kenya’s slums. An estimated 1,500 lost their lives and hundreds of thousands were displaced in the first two months of 2008. The international community, led by Kofi Annan, intervened to create a leadership position for Raila in hopes of appeasing his followers and suppressing the tension. Eventually the International Criminal Court investigated responsibility for the horrific violence and indicted Uhuru and Ruto for crimes against humanity and inciting ethnic violence. After ICC charges were confirmed against them in 2012, Uhuru and Ruto made a timely announcement for their presidential and vice presidential candidacies in the 2013 election. Alas, they conveniently won the election—which fortunately only saw mild protests and violence, but also saw 2 million votes tallied than registered voters listed—and the ICC dropped all charges against Uhuru in 2014. The Prime Minister position was discontinued. Will the 2017 election resemble 2007 or 2013? Will it be rigged with widespread violence or rigged with relative acceptance? Or will Kenya surprise the world with its first impartial election? This is a tough test to pass. If Uhuru genuinely win, he may still be accused of influencing the turnout and violence may follow. If Uhuru loses, he may pull some strings and still be announced winner, in which case violence may follow. If Raila genuinely wins and Uhuru peacefully steps down, then we will give Kenya’s democratic system a pat on the back but there will likely still be violence. If Raila loses, whether truly or by vote tampering, his supporters may cry rigged-election wolf and violence may follow. In the best scenario, the election will be carried out seamlessly without a single car set on fire—but I’m mentally catering towards caution. There remains a pervasive sense of election anxiety among Kenyans who remember the 2008 violence. Billboards and posters are all over Nairobi displaying a gruesome image of unattended toddlers holding each other in a street full of rioting men yielding machetes or a close-up of a broken skull cracked upon rubble in a pool of effervescent blood as a tower of tires burns in the background. Beneath the graphic images, there is always the Peaceful Elections Campaign’s slogan “Never Forget…Never Again!” One sign reads, “our brethren’s lives are worth more than just a few hundred shillings,” referring to those who followed violent orders in 2008 for wages as low as 100 or 200 shillings ($1-2). I hear constant talk about the importance and necessity of peaceful elections on the radio, on television, and in the candidates’ speeches. Rhetoric of non-violence and peace dialogues are everywhere I look—that is until I looked outside of my sphere of educated friends and into the slums. Because I had heard nothing but positivity, I had written off the idea of post-election violence. Many of my friends here are still convinced nothing will come of it, and I so hope that they prove me wrong. However, after spending time discussing electoral tension with University Mtaani students in Huruma slum, I felt less hope for them or for Kenya. The focus of CPI’s training was peace, but another significant word arose from our discussions: justice. I was discouraged to find a widely-held belief that peace and justice are mutually exclusive outcomes rather than complimentary achievements. The trainees informed me that the two words had been politically charged by the campaigns. Uhuru was evoking peace on the campaign trail to signal his administration’s progress and his desire to unite the nation under his leadership. Although, there have been claims by opponents that Uhuru’s push for peaceful elections is a sugar-coated method of pacifying resistance and undermining the opposition. After all, who could vote against peace? Conversely, Raila is pulling the justice card calling for a more just Kenya and just elections, which insinuates that his loss would be a political injustice. By pitting peace and justice against each other, the two candidates are creating a dangerous dichotomy and widening the chasms in society. The contentious peace versus justice debate, often found in the transitional justice sphere, is not conducive to Kenya’s democratic development at this time. Voters deserve peace and justice from their democracy. CPI’s training engaged students in lively discussions and activities to understand the origins and nature of conflict, to differentiate conflict and violence, to analyze problems in the students’ slum wards, and to create action plans for responding to conflict before, during, and after the election. The students we addressed at University Mtaani are not your average college students. 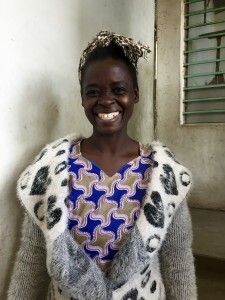 While enrolled in Mtaani’s Diploma in Civic and Development Education program, they are also community leaders and many run their own nonprofits in Huruma and Kibera slums. 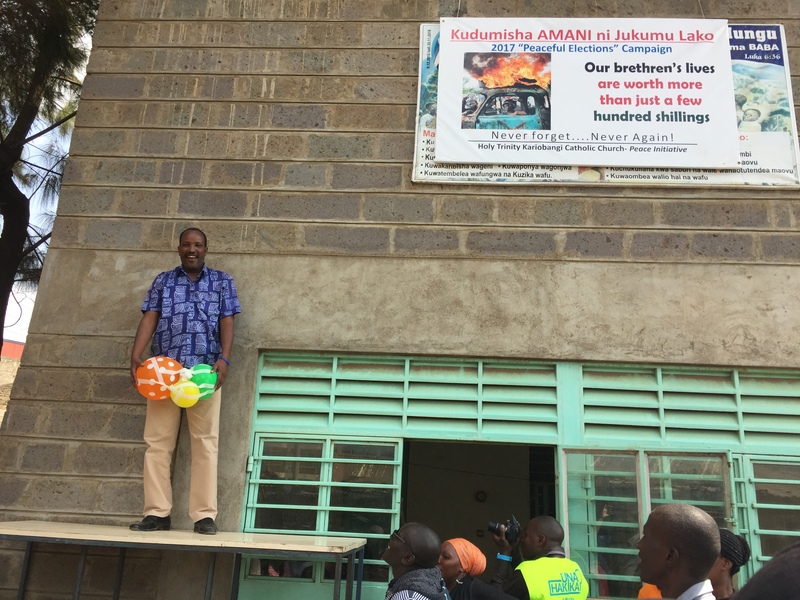 The students range in age from about thirty-five to sixty, as many of them never had access to higher education until Mtaani came to them in the slums. It’s no coincidence that Mtaani means “street school.” These passionate students jumped at the opportunity to enroll in a diploma program to officially study civic engagement and development—knowledge that many of them were already applying to their communities. Mtaani students are developing skills that will enable them to return to their wards and lead local solutions to local problems. When I asked an older gentleman, a Muslim cleric by profession, why he had chosen to return to school, he told me, “You can’t transform others until you transform yourself.” This inspiring group of local leaders is in the process of educational transformation to better themselves and the future of their communities. Through our training sessions, CPI hoped to spread the message that peace and justice are possible to the very actors who would play a critical role in their communities’ responses to election results. Students gave accounts of bribes they’d been offered and death threats they’d received from various campaigns. Men told us that they’re already sending their wives and children back to their families’ villages to get them out of the slums before chaos unleashed. It seemed really early to be relocating, but they explained to me that voters wouldn’t be able to travel in the days leading up to the election. Those who are registered to vote in Nairobi would not be allowed to leave with their precious vote. Upon trying to board busses, their IDs would likely be checked by unofficial campaign members and if they represented an influential vote (if they were Kikuyu or Luo) they may be denied departure. For the trainees who were planning to stay and cast their votes, many were relocating within the slums. Why? Safety in numbers. There is already a shuffling of people among the wards so that tribes can concentrate and feel a sense of protection. One student described how gangs have formed in preparation for the violence. These accounts really concerned me in their mild—and eerie—resemblance to pre-war conditions. The second lesson presented itself from the challenge of preaching peaceful reactions to rightfully angry voters. How do you tell the homeless and hungry man before you that he should harness his emotions through his words and not his fists? How do you convince the exhausted woman—who has brought an infant to the training and has a family of six at home that shares a bucket for a toilet because the government doesn’t provide running water—that she should remain calm and wait five years for the next election? Our students all want sustainable, definite peace, but they have yet to witness a successful means of achieving it. “If we don’t throw stones, no one will pay attention to us,” echoes in my mind. Peaceful slums allow the world to look the other way as people die in the streets. Burning slums have at least received moments of (horrific) recognition. A student explained, “politicians use us as banks of votes, then we are forgotten.” Violence has served as a form of communication for the voiceless and forgotten. During the sessions, CPI strived to educate the trainees in nonviolent forms of communication to express their political discontent. After a video was showed on Gandhi and Dr. Martin Luther King Jr., I was amazed to discover how foreign the concept of peaceful force was to them—or at least how it wasn’t an intrinsic civic value. As always, education is the solution; the education of peace will not occur in a day of training but over the course of generations. It will take 80 strong students this election to promote peaceful responses. Their influence will empower their communities and maybe next election entire sections of slums will follow suit. Wondering what you can do to bring peace to Kenya? Please click below to contribute to our work with pastoralists through Global Giving! This piece was originally published at The Advocacy Project. Worth reading to the end. I would like to send this to a friend of mine — a writer/novelist/poet who has done a lot of campaigning in areas of dire poverty. And perhaps I will send you one of her pieces from campaigning for Obama in Toledo, Ohio. I think the message is similar. The statement about throwing stones certainly is succinct. . . it says it all.